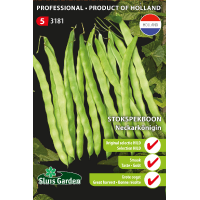 Produces 25-cm long, fleshy snap pole beans, which are used as French bean and snap bean. 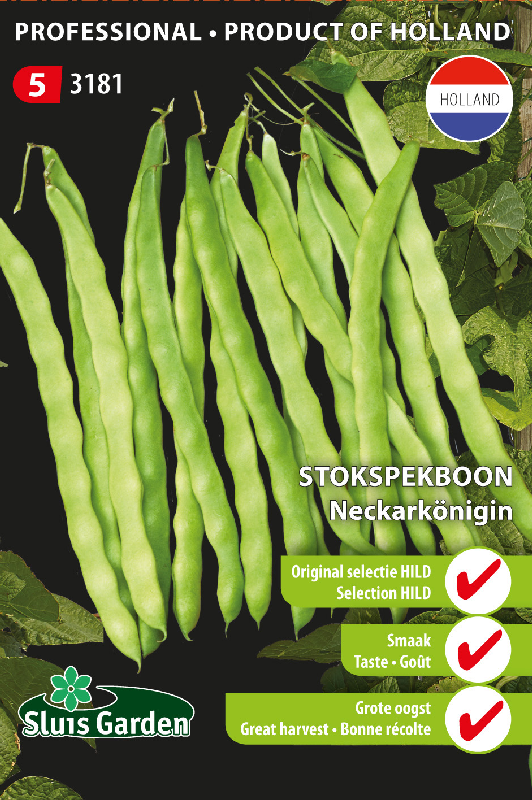 The pods are not membranous, are soft and have a sweet taste. Resistant to poor weather. After 2 years of extensive reselection, the original Neckarkönigin is available again. Beans thrive in the warmth. Too much wind and particularly night frost can be very harmful. Sow or transplant after mid May in the garden. Erect poles in a roof shape, and sow approx. 5 seeds next to each pole. Later guide the plants upwards.